Submitted by Soren on 2019-01-25 07:26. 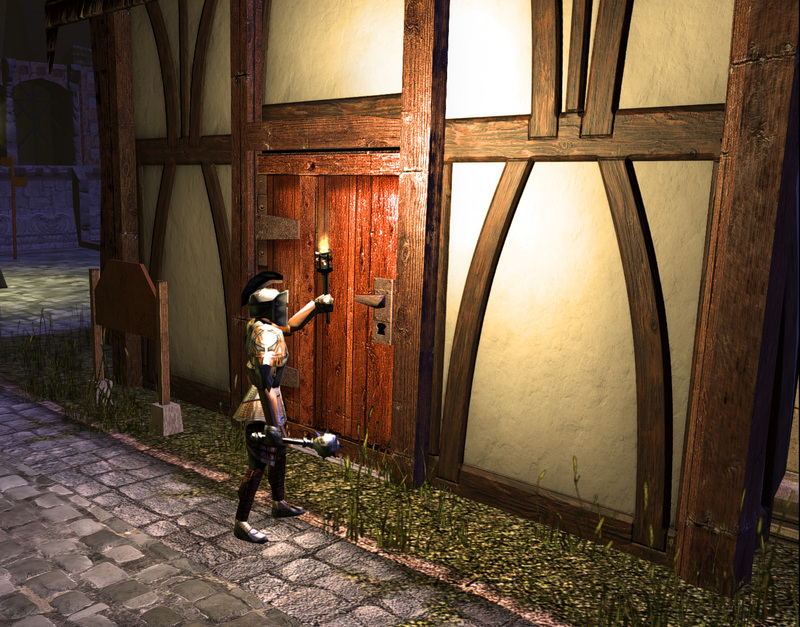 NWN:EE Shader prototypes for advanced content. 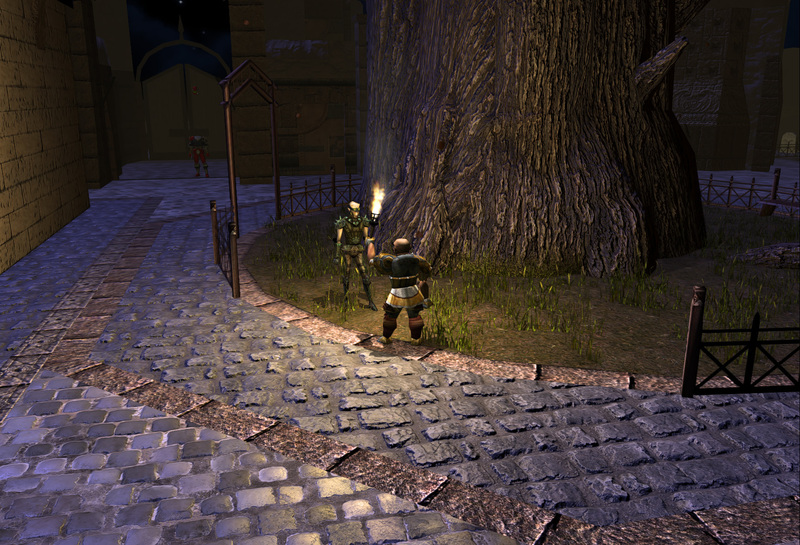 The shaders also feature more general experimental enhancements to all lighting in NWN:EE such as per-pixel lighting and gamma correction. The shaders all come in two variants found in the subfolders "shaders-stable" and "shaders-dev". The functionality is the same, but latter ("dev") relies on shader include files that are not currently supported in the stable release. The "stable" variant is compatible with both current stable as well as development releases. To enable these shaders, simply extract the contents of the relevant folder (e.g. 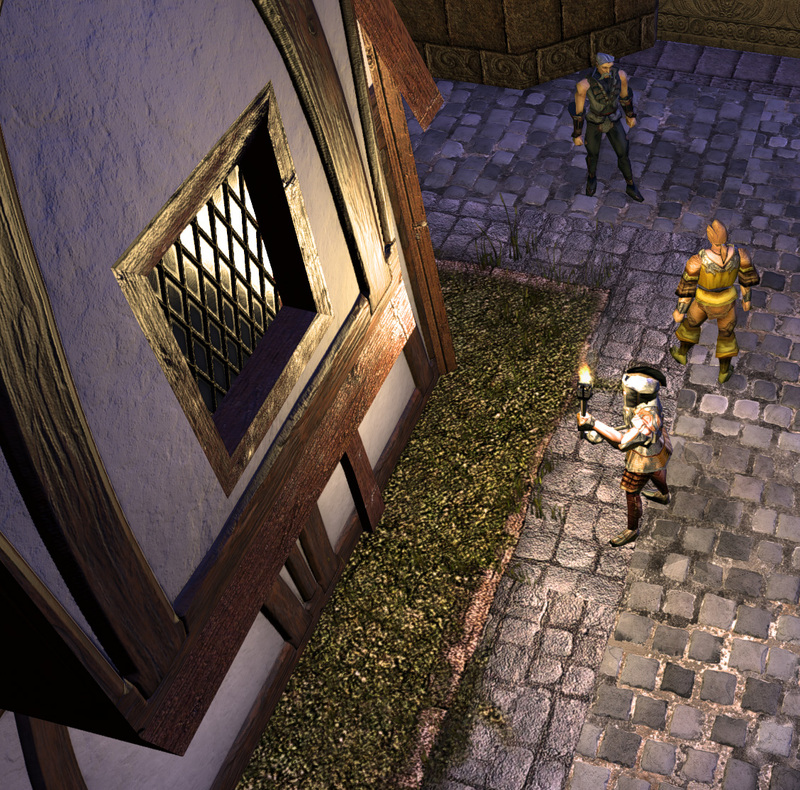 "shaders-stable") into your "Documents\Neverwinter Nights\override" folder. 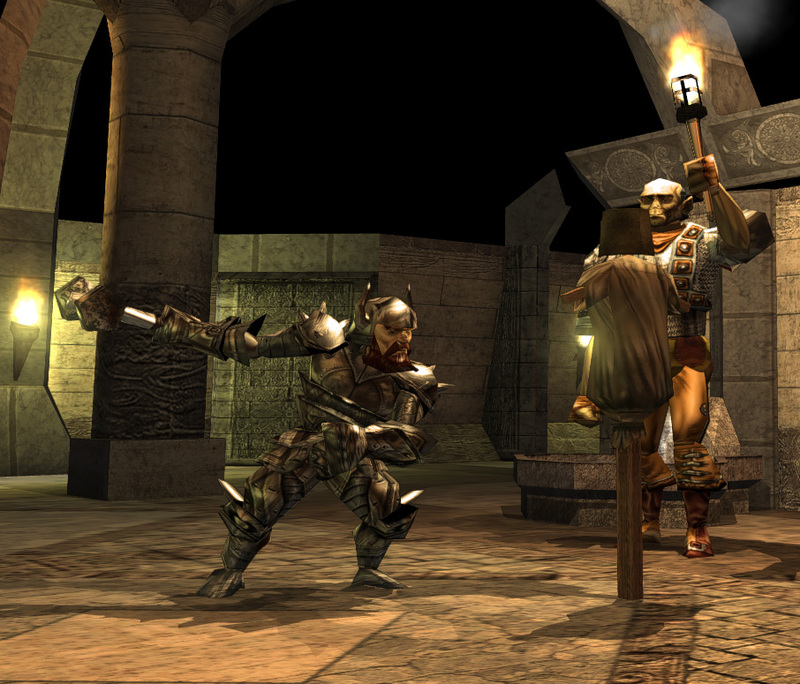 You can either download the small package only featuring the shaders themselves or alternatively download the "demo" package that includes a partial retexture of the standard City Exterior tileset, made exclusively to demonstrate the features and exemplify how to set up content for various effects (most of the retextured objects feature both normal maps, specular, roughness and height maps, and windows additionally use self-illumination maps). To view these, insert the contents of the "city-override" folder into your override folder as well. There's also a savegame included to quickly get you to a location where there is a lot of relevant content to see. What is worth noticing is that all the changes are accomplished by retexturing alone, i.e. no model geometry was changed. 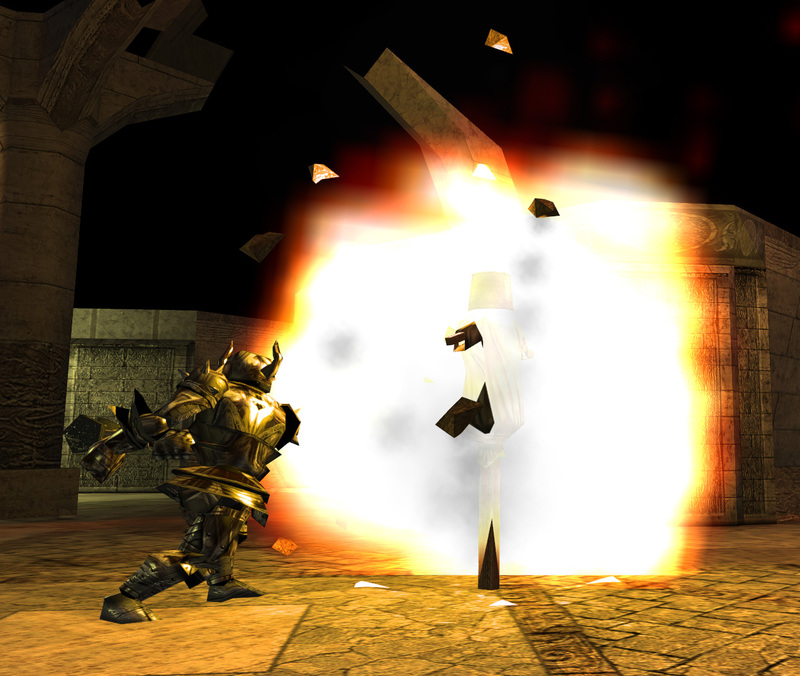 - At times you may notice textures warping oddly and elements flickering or turning black. These are symptoms of issues in the core game itself and will be fixed at later. - You may also experience that existing user-made content using any of the including textures may show up black as well. This is due to them being compiled without the required tangent data necessary for displaying the new texture maps. Decompiling these models will allow the game engine to generate these tangents for you, which will enable you to view the new textures on this content as well. - The shaders may cause certain elements in the toolset show up in wrong colors. In the current shader setup, you have to designate shaders according to what texture map inputs you want to use. Note that this is only a temporary solution and at later the shaders will be merged into just a handful more flexible shaders where the texture inputs are detected automatically or by specifying certain inputs in the material files. This unfortunately means that you will have to rewrite your material files then, but we aim to make available means for automating this process for you, so don't let that hold you back. vslit_sm_nm - Environment mapping support. 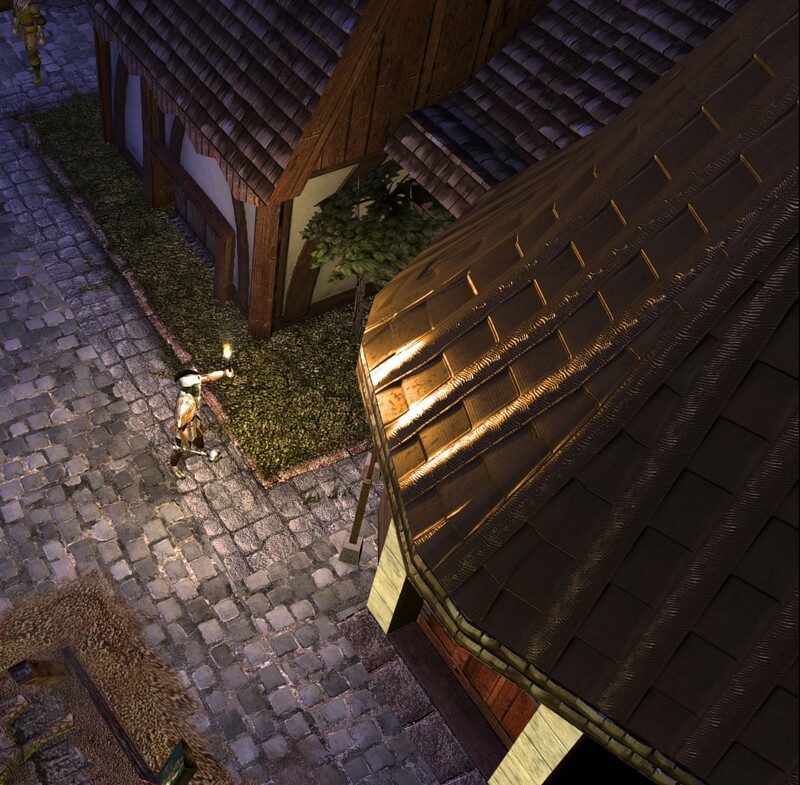 vslitc_sm_nm - Static lighting (for static geometry like tilesets) + environment mapping. vslit_sk_nm - Skinmesh geometry + environment mapping. fslit_sm_nm - Environment mapping support. Example: to use a diffuse, normal, specular and roughness map on a tileset element, you should use the "vslitc_nm" and "fslit_nm_r" shaders. 0 - Diffuse / albedo texture. 5 - Self-illumination / glow map. Also see the enclosed example.mtr file. 2.3.0 - First prototype of new shader and content setup. 2.3.0b - Fixed toolset crashes and slightly improved displacement algoritm. 2.3.0c - Fixed minor issues with GUI elements such as triggers showing up wrong. 2.3.0d - Improvements to specularity generation on legacy content and other miscellaneous fixes. Excellent. It's exciting to see the possibilities. Thanks! Looks amazing. Exactly as I had hoped Neverwinter one day would. Been waiting to see this happen for a long time. Textures def still need some work so that they tile properly. But that's to be expected, and I assume they're just placeholder to demo the tech. The new shaders on the other hand are amazing. Love the new lighting. The only issue I see is that certain vfx and auroas are nearly invisable. Really looking forward to using heightmaps finally. Keep up the great work Soren. This is awesome. If I played NWN1 I'd be all over this. Definitely coming back here the next time I play it. Looks amazing. The environmental lighting on tiles looks great and the textures are pretty good, but specular mapping on creatures or items doesn't work any more. EDIT: my bad, it does work, they just changed it's parametres a lot and old textures may not work the way they were intended to. This crashes the toolset with an nvoglv32.dll error, despite having the latest drivers installed. Really good work. All the community are expecting this. One thing. 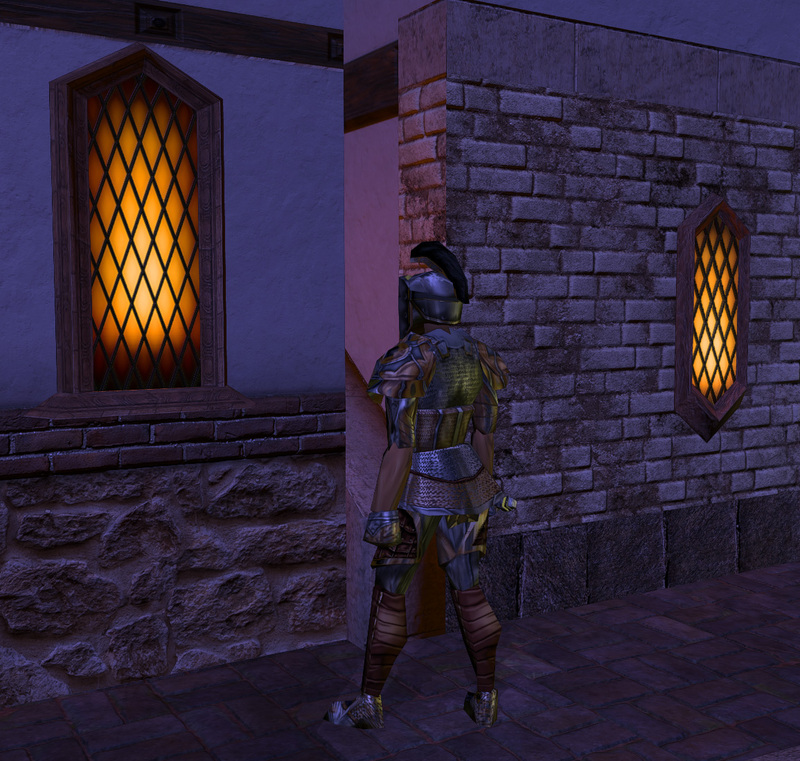 With the new patch -2.3.0d- outdoor areas with solar lighting see too much darkness and contrast. 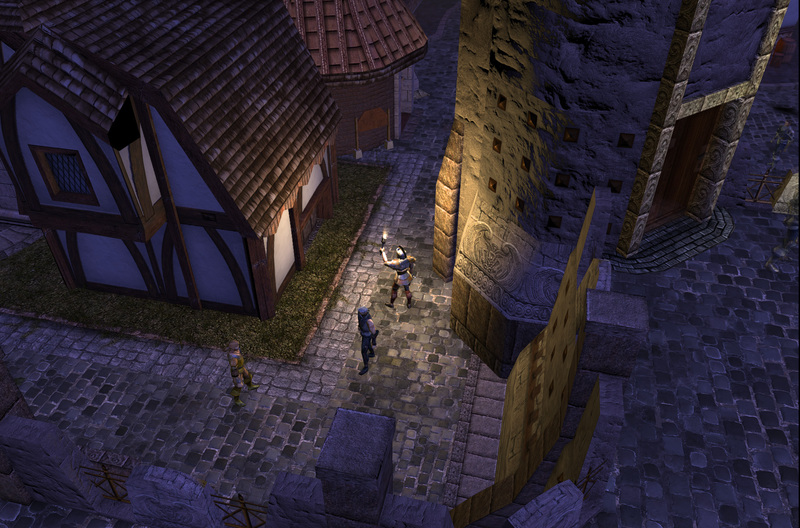 The shadows are too dark and the ambient or indirect light is barely visible. In the preovious versions the direct solar light and the shadow that it produced were not appreciated. Agreed. The shadows are pretty much black.